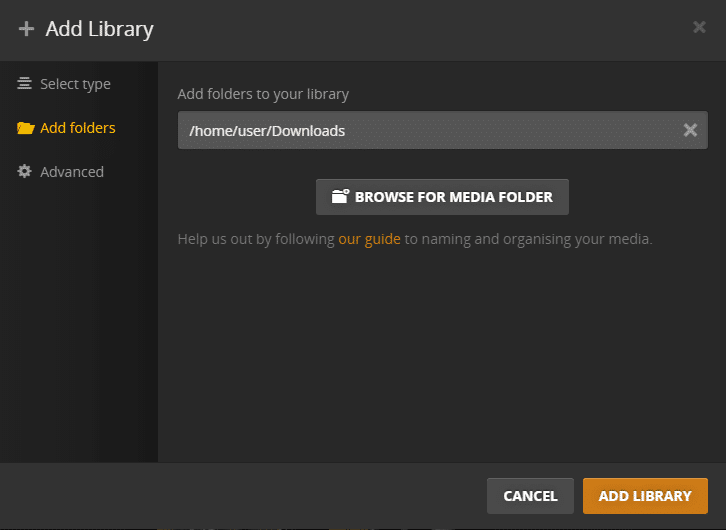 In this article, we will show you in steps how to create your Plex libraries and how to synchronize content from your seedbox with the libraries you created. 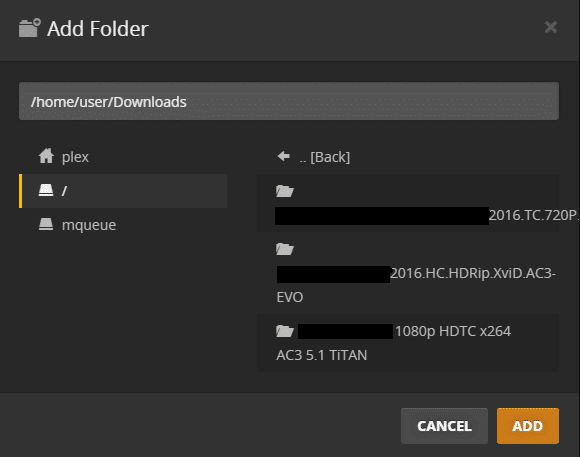 First, you need to know what are the Plex libraries. 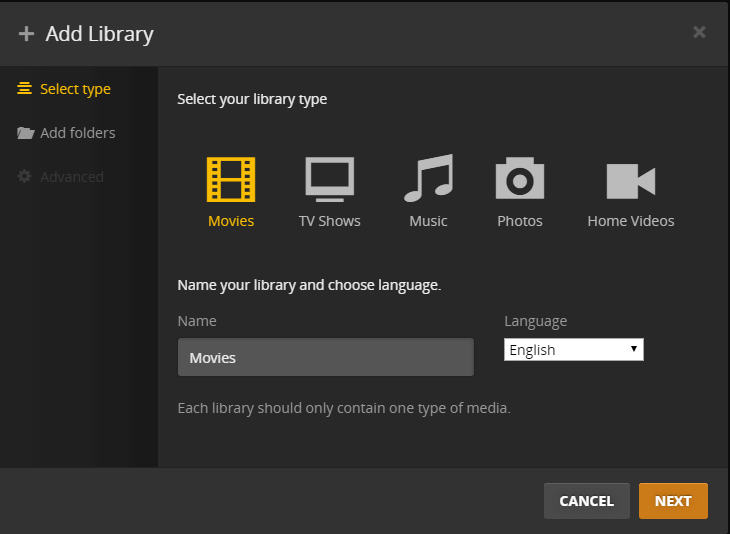 Plex Libraries are the physical representations of media types that you have in the form of content on your seedbox. So libraries help you to divide your content into different groups so it will be much easier for you to navigate thru all of your files. Groups of libraries that you can create are: Movies, TV Shows, Music, Photos and Home Videos. 1) Log in to your Plex account. 2) Go to “Home” page and on a left side of the screen you will see “Home menu”. Hover your mouse in “Libraries” section and “+” will appear there when you click on it, wizard for adding the library will auto start. 3) When the wizard is started, the new window will appear, you will be asked to choose your library type, library name, and library language. After you chose all of that click on the button “NEXT“. 4) A new window will appear and you will be asked to add folders to your library, so you need to click on “BROWSE FOR MEDIA FOLDER” button. 6) You will be forwarded to the previous window in which you need to confirm that you added the right path. If all is ok with the path that you chose just click “ADD LIBRARY” button. 7) Now you library is added and your files will start synchronizing, this may take few minutes depending on how much data you have in the folder you chose as your library. When synchronizing is complete you will be able to access your files via Plex. 8) After that whenever you add new files to your library if synchronizing does not start automatically you can initiate it manually by entering your library and in right top corner pressing “Refresh library” button. If you need more help, you can visit official Plex page , or thier official help section.